The painting will be shipped as soon as the oil paints and varnish are cured enough to package (2-3 weeks). Shipping is included in purchase price. 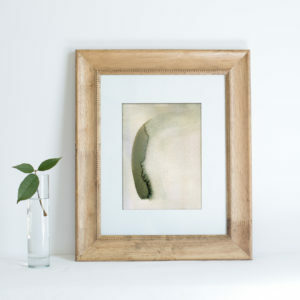 “Misty Morning” is a 12×12 oil painting framed in a minimal-style wood frame ready to hang.